Since the Tsunami of December 2004, the people of Thailand have worked hard to rebuild Phi Phi Island. Almost 4 years later, Phi Phi Island is home to the happy sounds of village laughter, a place for holidaymakers and travelers to visit, a honeymooner's paradise. With its crystal clear pools of water and magnificent limestone mountains of Phi Phi Ley and Phi Phi Don, Phi Phi Island has all the splendor and charm that it ever did and it is difficult to remember those ghastly days just after the wave struck. a new mobile phone aerial connection between Phi Phi Island and the mainland. The underwater earthquake of over 9 on the Richter scale had an epicenter off Banda Aceh in Northern Indonesia on 26th December 04 and sent a Tsunami wave across part of Phi Phi island, washing away entire resorts of PP Charlies, PP Princess, PP Pavilion and Tonsai Village and thrashing beaches and buildings in the village with a fury that left 1300 dead. The wave wasn't one incident but followed the now understood, normal pattern. The sea receded to an unprecedented low level from a middle to high tide in a matter of minutes. Fish were left high and dry, confused as their home disappeared. People gathered, especially at the main pier, to watch what was happening, a few locals ran out to collect the fish. At the same time, the animals took flight, for deep in their survival knowledge was the instinctive move to higher ground. Incidentally many Japanese people who understood these warning signs from their own homeland also ran for high ground. When the first wave arrive from the southern bay, Tonsai Bay, all pandemonium broke out as everybody started running. The wave was a surge like a fast running river and though powerful could be outmaneuvered. However without knowing what they were running from, people did not know what was a life saving direction. The fatal wave came from Loh Dalum on the famous north side and some said the Tsunami wave got magnified by hitting the cliffs just south of Nui Bay and this diverted the surge turning almost 180 degrees south, to rush in on the shallows of Loh Dalum. As all surfers know, a wave multiplies in height when the water gets shallow. The wave is said to have been seven meters high and traveling at speed (some say 50 km/hour) before it crashed into and leveled PP Princess, PP Charlies, PP Pavilion, Tonsai Village. The wave mixed with the heavy destructive remnants of the village is what made the wave such a killer for locals and tourists alike. The extraordinary reality of the tsunami was that some beaches due to the nature of their position and gradient of their off shore seabed experienced a surge that did little damage; for example the resorts near Andaman Beach Resort, Holiday Inn Phi Phi Island at Laem Tong, and Long Beach. Resort here were up and running by March 2005. Primarily with the help of the army and government, but also Phi Phi Charities and Phi Phi Relief effort, Phi Phi Island and the people who inhabit the tropical oasis cleaned up the islands, rebuilt its villages, school and hotel resorts. The beaches of Phi Phi Island are again the soft, white havens ready to welcome back the tourists and travelers alike. 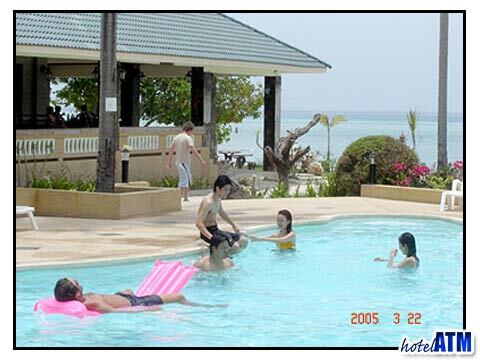 Tourists again are found strolling through the villages shopping for souvenirs and relaxing in beach side resorts. Today, Phi Phi Island is a place full of adventure. Divers, backpackers, and sun seekers and more come to Phi Phi Island to experience the tranquil aquamarine waters and tropical wildlife first-hand. Phi Phi Island truly is the Land of Smiles and the people of this breathtaking Island welcome visitors with open arms and cheerful faces. 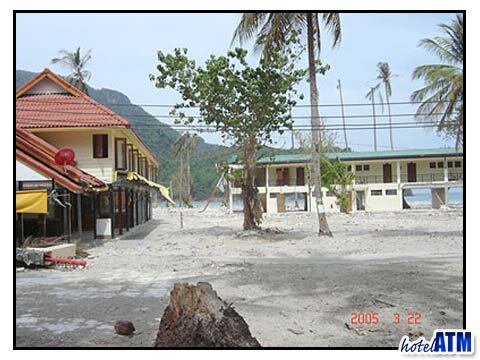 The Tsunami of December 2004 may have hit Phi Phi Island with a powerful blow, but there is one thing the disaster could not destroy: Phi Phi Island spirit! "The Children of Phi Phi Island" book written by and about the kids of Phi Phi Island recounts personal stories and experiences during the time of the Tsunami of December 2004 and are accompanied by crayon drawings. This is a book of hope and remembrance, and all proceeds go to the families of the children of Phi Phi Island and those who experienced loss during this great tragedy. You can find this book at a number of souvenir shops you will visit during your family holiday.